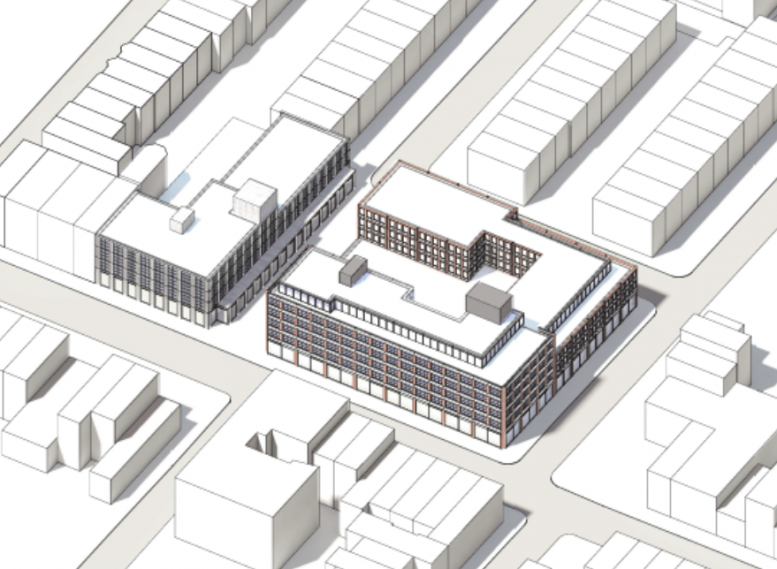 Permits have been filed for Avery Hall Investment’s two-building development in Park Slope, Brooklyn. YIMBY last reported on the pre-filing for the six-story building at 680 Baltic Street in mid-October. The project had been the source of debate for many locals, but it has since been approved and is moving forward. Now, permits show specifics for the four-story component at 126 Fifth Avenue. The two permits combined yield 306,500 square feet. 680 Baltic Street contains 123,700 square feet, with 94,900 square feet dedicated to commercial use and 28,800 square feet for 120 residential units, with an average area of 240 square feet. Underground parking will have a maximum capacity for 200 vehicles, twice what the site originally held. 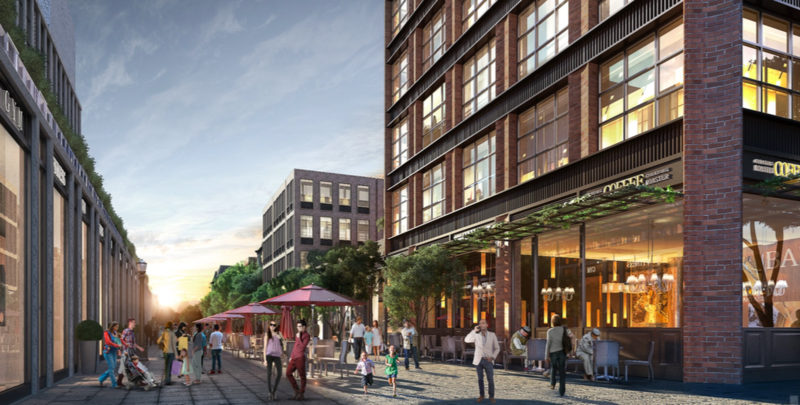 The building will include a valet booth and retail on ground floor and cellar, as well as a bicycle storage and laundry room, fitness room on the second floor, and terrace on the fifth floor. 126 Fifth Avenue will have 51,400 square feet of space, with 19,600 square feet dedicated to commercial use, and 31,800 square feet for residential use, divided amongst 44 apartments, averaging 722 square feet per unit. 126 Fifth Avenue will also contain retail space on the ground floor and cellar, with bicycle storage and laundry in the cellar, a tenants lounge on the second floor, and terraces on the second and the fourth floor. SLCE Architects is responsible for the design, and permits have not yet been filed for demolition. The project is expected to be complete by late 2019. 2 Comments on "Permits Filed for 126 Fifth Avenue and 680 Baltic Street, Park Slope, Brooklyn"
This proposal has plenty of parking spots inside. Industry City proposes up to 1,800 indoor parking spots for the expansion. What does that say for NYC DOT planning for traffic reduction. The people with the money have spoken.